The summer season has already set in and practically every apparel, accessory and allied product categories are attempting to woo consumers with new designs, features and offers. And, retailers too, are also introducing various marketing strategies to stay ahead of the pack. Last year, the key trend among clothing and allied products were polka dots. This summer, the focus is on leopard prints and loud fuschia patterns, points out a store manager at Zara, Ambience Mall. Similarly, UCB which had a muted, dull collection last year has launched products that are bright yellow, red, orange and lemon. For instance, floral shirts have been replaced with flowing, satin ones in bolder colours that have a casual and semi-formal look. Shekhar C.S, President, Max Retail says, "the collections both last year and this year are appropriae for the season, but the trends have changed. This year we have moved to bolder colour patterns." Pepe Jeans' Spring Summer ’13 Collection is inspired by street trends that reflect a young and vibrant person with a very fresh way of life. These influences blend amongst themselves to make a perfect concoction. In addition, brightly coloured pants are en vogue. Retailers are aggressively using e-retail for promoting products and specific events. For instance, BIBA is promoting their entire spring summer collection under three different activities; Mothers’ Day, BIBA girls and BIBA Woman through large outdoor and print campaigns. The brand expects an overall growth of 30-40% and a like to like growth of 10-12%. Max Retail which saw slow sales in February has turned to catalogue and discount voucher distributions to customers in mall parking areas in order to pull crowds to its stores. And, while it is still too early to predict sales growth this year, retailers do admit that the footfalls in their store are definitely better this year vis-a-vis last year and that should help sales grow. Senior officials at the UCB store Select CityWalk pointed out that they earned Rs 25 lakh from summer sales last year and are confident of showing strong growth this year. Mr. Ishaan Sachdeva, Director, Alberto Torresi says that the brand expects a 60% increase in sales this season. Max Retail, on the other hand had their best sales in 2-3 years last season and hope to match the same this year. Their stores also have the option for customers to buy basic products from the fresh collection in bundle offers. This strategy has boosted sales while leaving the sales of the higher price products unaffected. Following in the same tune, KBSH plans to undertake a host of awareness boosting campaigns, including the development of a saree micro site which will act as an interactive encyclopedia about sarees, and Indian handloom culture and heritage. Sanya Dhir, Brand Director, KBSH says, "the brand expects a 30% growth keeping their latest collection in mind." Pepe Jeans has come up with the “Timeless Offer” that gives customers limited edition watches on purchase of Rs. 5000 and above. 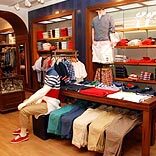 Neha Shah, Manager-Markeing, Pepe Jeans India Pvt Ltd, says, "the most important benefit achieved through these strategies is that it boosts Pepe’s sales immensely and instantly and it increases the spend per customer. It increases the ticket size of the bill." Clearly, brands and retailers are wooing the consumer aggressively this summer.